Actor Edward Norton (in Entertainment Weekly ew.com), commenting on the documentary “The Devil and Daniel Johnston” (2006) – about a manic-depressive singer. The language we use to ourselves and others about having and pursuing creative talents can have a big impact on our attitudes and motivation. For all too many years, I have been self-critical about focusing on creative interests instead of, for example, socializing. Choices like that generally aren’t simply right or wrong, but it may be helpful to consider the consequences. 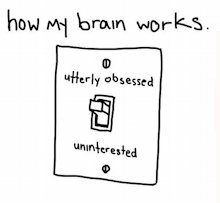 Creativity coach Eric Maisel, PhD thinks obsession is a more or less necessary element of creative achievement – at least the healthy variety of obsession. From his article: In Praise of Positive Obsessions. A variation on obsession is “stubborness” or perseverance. From article J.K. Rowling: A wizard of odds (Psychology Today). See more comments by Rowling in my High Ability post: Celebrating our unique qualities. 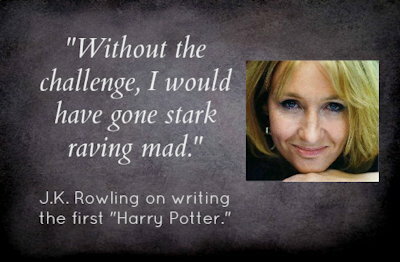 Photo from post: J.K. Rowling: an ordinary and extraordinary childhood. Another Psychology Today article – Why Prodigies Fail – says that most childhood prodigies never fulfill their promise. “Perseverance is a key part of it,” says Robert Root-Bernstein of Michigan State University. (He is co-author with Michele Root-Bernstein of Sparks of Genius: The Thirteen Thinking Tools of the World’s Most Creative People. There can be a lesson here for any of us, not just prodigies. Indiana University psychologist Jonathan Plucker notes, “I don’t see anyone teaching these kids about task commitment, about perseverance in the face of social pressures, about how to handle criticism. Creative achievement – especially the sort that gets mentioned in books and the media – has often been considered something special, that only a “genius” can do. I have often felt held back in writing, such as this book, by self-limiting ideas related to how I identify myself and my writing talents. From article The Hidden Secrets of the Creative Mind, Time mag. Jan. 8, 2006. Prof. Sawyer is author of book Explaining Creativity: The Science of Human Innovation. In a New York Times op-ed, David Brooks pointed out that Mozart’s early compositions “were nothing special. 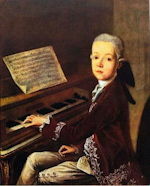 They were pastiches of other people’s work.” He added, “Mozart was a good musician at an early age, but he would not stand out among today’s top child-performers. From his article Genius: The Modern View – which also includes a video about the book “The Talent Code: Greatness Isn’t Born. It’s Grown. Here’s How” by Daniel Coyle. The above text is from the “Obsession – Perseverance” section of my book “Developing Multiple Talents: The personal side of creative expression” – visit the About the Book page for more info. Psychologist Eric Maisel notes obsession may not be a disorder, but a positive part of creative achievement. 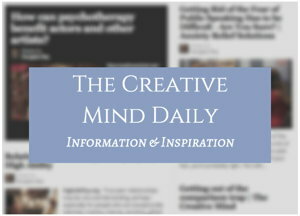 Mastering Creative Anxiety by Eric Maisel, PhD. 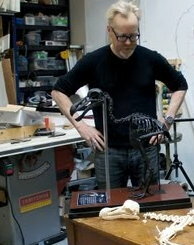 This photo is Adam Savage (of “Mythbusters”) from the video – about his passion for making a replica Dodo skeleton. He relates how he collected thousands of images and documents, and crafted a beautiful museum-quality mounted skeleton of the defunct bird. Another example of creative obsession was director Stanley Kubrick, who once had a photographer take pictures of every single building on a road in London, so he could lay them side-by-side in his living room. See more in post Creative obsessions: Adam Savage and Stanley Kubrick. 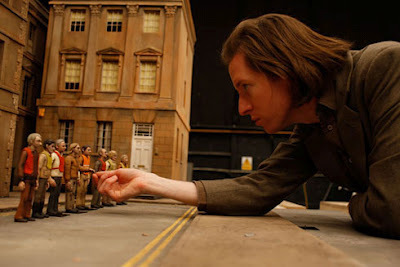 Here is a behind-the-scenes look at making the movie, directed by Wes Anderson. Writer-director Wes Anderson has made a number of unique and delightful movies including “Moonrise Kingdom”; “The Royal Tenenbaums”; “The Darjeeling Limited”; “Rushmore” and others. Photo and video from post: Fantastic Mr. Fox, Behind the scenes. Creative Obsession – “The refusal to rest content, the willingness to risk excess on behalf of one’s obsessions, is what distinguishes artists from entertainers, and what makes some artists adventurers on behalf of us all.” John Updike, about J. D. Salinger.